How can this be translated? Can it be Committee - bride? THE FOOLISH VIRGINS WILL BE LEFT AND BEG BUT THE TRAIN HAS DEPARTED. 1 Cor 15:52 : In a moment, in the twinkling of an eye, at the last trump: for the trumpet shall sound, and the dead shall be raised incorruptible and we will be changed. Those died in tribulation (foolish virgins) shall appear below the altar (5th seal). One problem with applying the Virgins of Matthew 25 to those of the "church" or redeemed. If they are the believers, then we got a down grade. The redeemed are the Bride of Messiah. The virgins are the bridesmaids. They are waiting for the Messiah and Bride to return from the seven days of the Chupah, or wedding chamber, which is when the wedding feast begins. A simple study of the 1st Century traditional Hebrew marriage clears this stuff up. I recommend you check out books by a Hebrew believer, Alfred Edersheim.... "The Life and Times of Jesus the Messiah" and "Sketches of Jewish Social Life". The Bride (redeemed) has already been removed to join the Groom (Messiah) together in the Chupah (wedding chamber) at the beginning of the tribulation period. They consumate the marriage during that time and become one. The word is put out that the groom and the bride will return and the wedding feast will begin. The guests come to be ready for the Groom's return. The story of the Virgins is those of the Hebrew people that go thru the Tribulation Period. 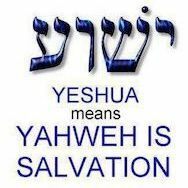 At the end some will have turned to Yeshua and be ready for Yeshua's return and some will not have turned to Yeshua and be cast out because He doesn't know them. It has a illusion to Ezekiel 20. Ezekiel 20:37-38 “I will make you pass under the rod, and I will bring you into the bond of the covenant; 38 I will purge the rebels from among you, and those who transgress against Me; I will bring them out of the country where they dwell, but they shall not enter the land of Israel. Then you will know that I am the Lord. The Matthew 25 virgins account, both those who were wise and those who were foolish, is at the end of the tribulation period. This idea that the virgins are the redeemed, some ready and some not, degrades Yeshua's atonement. A person is either justified (redeemed) thru Messiah or not, and confuses Justification with Sanctification. There is no partial justification, and likewise, no partial rapture. To put the redeemed as the virgins suggests some sort of protestant purgatory is going on and that being redeemed is a works righteousness gig. The story of the Virgins is those of the Hebrew people that go thru the Tribulation Period. My question is : Are these Christian Jews not worthy to be called as the Bride of Christ and need to go thru the Tribulation period ? I guess my questions would be.... are they Believers? If that is the case, then they would be part of the redeemed, correct? And would that not make them also part of the Body of Messiah like all believers? And would that also not place them in the category of being part of the Bride of Messiah along with all believers? Assuming the above are all affirmative, then would they not also be removed as part of the Bride? The virgins in the Parable are not the bride. they are the bridesmaids. Yeshua is not a polygamist and the Bride doesn't get a down grade to bridesmaids. My assertion that the Virgins of Matthew 25 as regarding the Hebrews, it would conform to Hosea 5:14-15 / Matthew 23:37-39. According to those verses, Yeshua will not return until the collective Hebrew people acknowledge their rejection of Yeshua and petition for His return. I believe that is one of the chief goals of the tribulation period... to drive the unbelieving Hebrew people to the brink and finally get them to realize that Yeshua was the one they should have been looking for all along. Of course, like with anyone else, not every Hebrew individual that makes it thru the period will believe. Those that do would be the wise virgins and those that don't the foolish virgins. And according to Ezekiel 20:37-38, the Lord will sort them out accordingly. I think you misunderstood my post based on the way you responded or jumped the gun without really reading it and thinking about it. All the believing Jews and gentile are the Bride of Christ. The virgins in the Parable are not the bride. they are the bridesmaids. Yeshua is not a polygamist and the Bride doesn't get a down grade to bridesmaids. Its not the point that "virgins are not the bride of Christ" which Jesus wants to teach to us, the parable of 10 virgins is about the OIL. The moral of the story is that we must live with the OIL / Holy Spirit guidance every day and we should not loss it because of the beauty or the resistance of wordly things. Ok. I like to use the Golden Rule of Hermeneutics when it comes to interpreting scripture instead of allegorical interpretation, so it is likely we will see the passage differently.